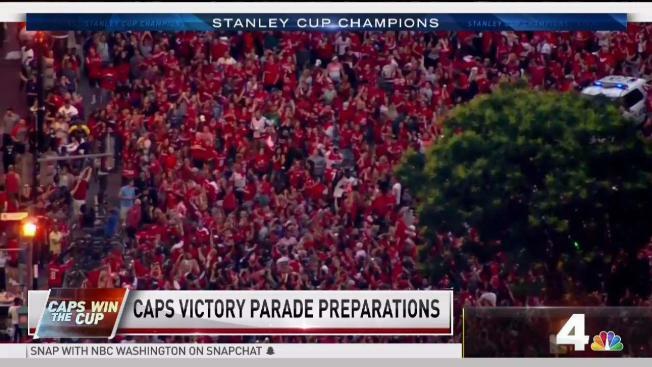 The parade will roll down Constitution Avenue beginning at 11 a.m.
More than 100,000 revelers are expected to pack downtown D.C. streets Tuesday for a parade and rally to celebrate the Washington Capitals' historic Stanley Cup win, planners say. Thinking about attending? Here's what to know. The festivities are set for Tuesday, with the parade starting at 11 a.m. An ALLCAPS rally will follow. The parade will roll down Constitution Avenue from 23rd to 7th streets NW, with optimal viewing between 17th and 7th. 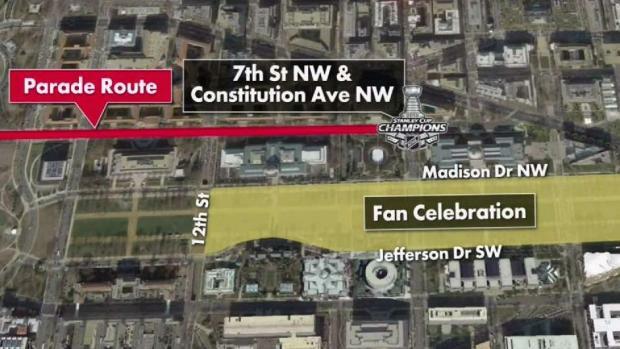 The parade will then turn right onto 7th, culminating with the rally at 7th and the National Mall. 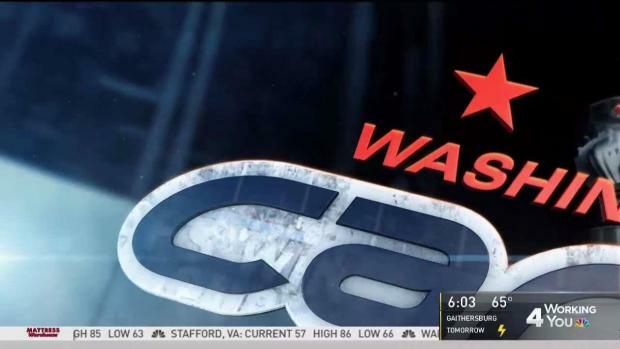 Unafraid of the impending closing of the subway, Capitals fans partied in the streets Thursday night and into Friday morning to celebrate the franchise's first Stanley Cup and the city's first title in the major four professional sports since 1992. Oh yes, they're happening. See road closures and parking restrictions here. And beware, it's not just for the day of the events -- parking restrictions will begin as early as 6:30 p.m. Monday. Yes, the parade and rally are free and open to the public. Do federal workers have the day off? The federal government will remain open, but the White House is encouraging federal agencies to give employees in the D.C. area two hours of administrative leave, a memo issued Monday evening by the U.S. Office of Personnel Management (OPM) says. Those two hours of leave could occur between 10:30 a.m. and 2:30 p.m., so workers could attend the parade, the memo says. Federal agencies can authorize telework or "other workplace flexibilities" as they choose, the OPM memo says. You're going to get a great day for the celebration, says Storm Team4's Sheena Parveen. Tuesday will be partly cloudy and possibly mostly sunny -- and most importantly, not too hot. It'll be about 70 at 11 a.m., when the parade begins, and temps will slowly move into the low to mid-70s. The day's high will reach 78, but it won't hit that temp until after the festivities are over. Humidity will be on at comfortable levels. Planners are encouraging fans to take Metro or use a rideshare service. Metro trains will run on rush-hour frequencies throughout the day Tuesday and into the evening commute to accommodate the thousands of fans expected to go to the parade. Trains will depart end-of-line stations every eight minutes, with service as frequently as every two to four minutes at downtown stations, Metro said. Since the celebrations span such a wide swath of downtown, you have your pick of Metro stations and lines. If possible, use a station farther away from the center of the festivities to try to avoid crowds. Hundreds of thousands of people will line the streets of D.C. to celebrate the Caps' Stanley Cup victory on Tuesday. News4's Mark Segraves reports the details of the parade. You can watch it live on NBC4!